10. Nike Air Foamposite Pro "Pearl"
The Fomaposite Pro "Pearls" were clean and are still one of the best Foam releases to date for Nike. 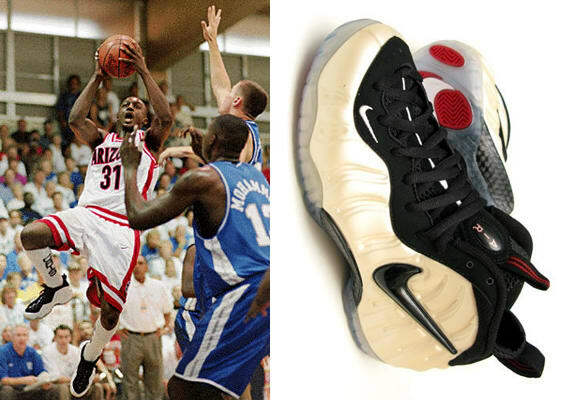 No surprise that you would catch Jason Terry ballin' in them, keepin' his rep for displaying flash with his game and attire — staying true to his school via the knee-highs all four years too. When can we expect a Jason Terry sock raising ceremony at the McKale Center?